By using Membership Plugins, you can give access to your users to view the restricted area such as content blocks, pages, post, etc on your site only when they purchase the corresponding Membership Plans. Ultimate Member – User Profile & Membership Plugin is a free WordPress plugin. Using this plugin, you can allow the users as members to access the plan by registering on your site. WP-Members Membership Plugin is a free WordPress plugin. Using this plugin, you can create a membership for the users on your site. It allows only members to access restricted content. Restrict User Access – Membership Plugin with Force is a free WordPress plugin, using which you can create the membership for the users based on the different levels such as Gold, Silver, and Bronze. Paid Memberships Pro is a free WordPress plugin. Using this plugin, you can manage the membership subscription for your site. You can create the membership for content sites, clubs/associations, subscription products, newsletters etc. Simple Membership is a free WordPress plugin. It allows creating a membership for your site users. You can protect your post and pages. Also, it allows only your members to view the protected content. WooCommerce Memberships for Multivendor Marketplace is a free WooCommerce plugin. Using this plugin, you can create a free and premium subscription membership. You can set the levels for the membership with a different pricing plan. Membership & Content Restriction – Paid Member Subscriptions is a free integration WooCommerce plugins. It allows you to create a subscription plan for the membership and restrict the access to the premium content. SUMO Memberships – WooCommerce Membership System is a premium plugin developed by FantasticPlugins. You can create a premium membership for the users. Only the subscribed members have access to view pages, posts, content blocks, buy certain products etc for those who have purchased the specific membership plans. 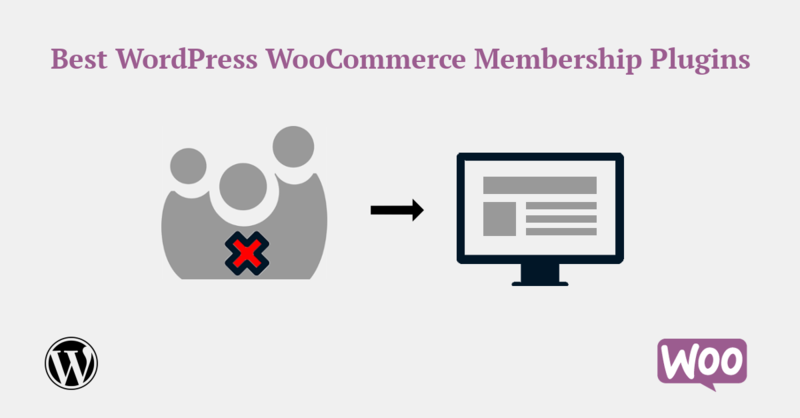 WooCommerce Membership is a premium plugin developed by RightPress. Using this plugin, it allows creating the membership plans and restricts access to non-members to view the posts and pages on your site. YITH WooCommerce Membership is a premium plugin developed by YITH. You can create and manage the membership of your customers. Also, schedule the exclusive contents to be published for your customer.